John C. Everett has joined the Hood Theological Seminary staff as its new Institutional Advancement Officer. In making the announcement, President Lattimore said, "Mr. Everett is a proven leader with a demonstrated track record in major gifts, corporate and foundation giving, planned giving, marketing, relationship management, and financial management." In his most recent role, Everett was the Senior Major Gifts Officer for the Wake Forest Baptist Comprehensive Cancer Center and the Wake Forest School of Medicine (Winston-Salem, NC), and was discovered in by Capital Development Services using the Candidate Discovery & Screening (CDS) model of finding and presenting a qualified candidate pool for specific positions unsuited for traditional retained searches. Previously, he served as Director of Major Gifts at Benedict College in Columbia, South Carolina where he was also an adjunct professor in the School of Business and Finance. Also in Columbia, he served as Vice President of Finance and Business with The Potter's Christian Life Center and was a Financial Advisor at UBS Financial Services. 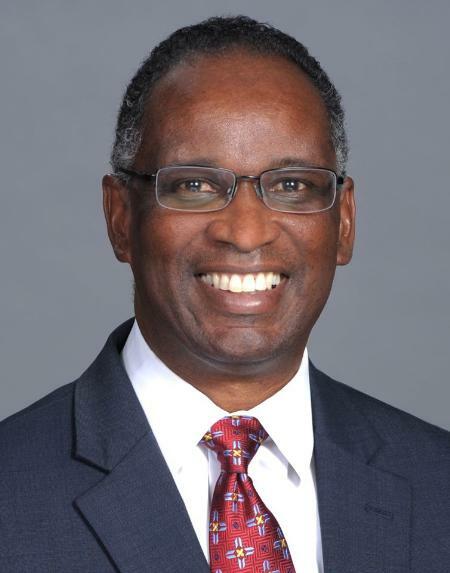 In addition to his many years' experience in management and leadership in Fortune 100 companies and non-profit organizations, Everett served in the United States Navy where he provided logistical support at the Navy Medical Center in Okinawa, Japan, as Head of Materials Management. He received the Navy Commendation Medal for outstanding leadership and service in that position. Mr. Everett holds a Bachelor of Science of Public Health in Health Care Administration-Finance Emphasis from the University of North Carolina at Chapel Hill and a Master of Business Administration from Golden Gate University in San Francisco, CA. Everett also completed the Naval Officer Financial Management School. He and his wife live in Clemmons, North Carolina, and have two adult sons and one grandchild.